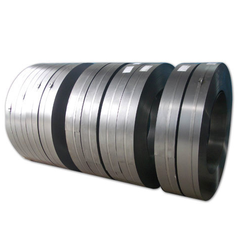 Leading Manufacturer of steel strip, hardened steel strips, hardened & tempered steel strips c80, hardened and tempered strips c62, c-75, c98, en47 grades and tempered steel strips from Mumbai. We hold expertise in providing a qualitative range of Steel Strip that is widely recommended for their high sturdiness and perfect finish. These strips are also available in different thickness and width range having round and square edges. They are available in different sizes and other specifications according to the client's varying requirements. 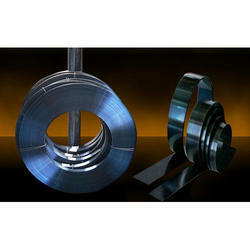 Our ranges of these are used in various industries for different applications. We Supply these steel strips to our clients at market leading prices. 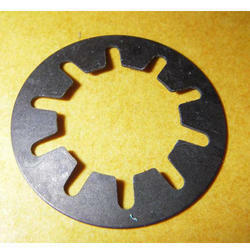 Our company is engaged in manufacturing and exporting Hardened Steel Strips that are widely used for making clutch plate segments, washers, toy springs, agriculture tools, retractor springs, cutting saws and masonry tools. These robust steel strips are massively acclaimed for their supreme finishing and excellent tensile strength. This is high carbon steel strips with Martensite grain structure with high tensile strength, Produced by passing strips through long continuous heating furnace and oil quenching. Parts made from this strips have uniformity in hardness, flatness and shape as compared to parts made from annealed strips and then hardened in batches. These strips are usually available in C80 grade per the standard sizes available in stock but also can be provided in C75 & C98 grades if quantities required are viable to produce. These strips are supplied with various option as per requirement of customer. Edges Slit, rounded or dressed. Surface finish Bright polished, grey (un polished), polished and blued or golden. 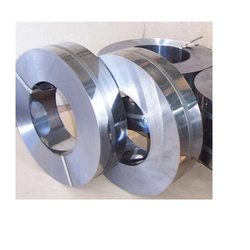 We offer Various size of Hardened And Tempered Steel Strips from ready stock usually of C80 grade in bright polished or blue finish, as well can provide. 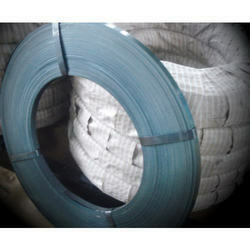 Looking for Steel Strip ?